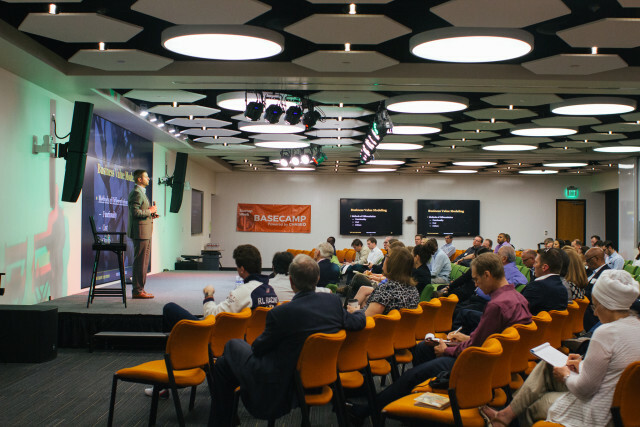 Entrepreneurs in the Phoenix area came together to celebrate Phoenix Startup Week. At some point in your life, you’ve probably felt like you were all alone. You may have been surrounded by friends, family and co-workers, but there was still this nagging sense that you were all by yourself in this journey through life. If you’re an entrepreneur, that feeling can be amplified a thousand times over because of the nature of your work. Long hours, short deadlines, the constant non-stop pace of developing a customer base – all of these take their toll and leave you feeling empty. Experts extol the pursuit of work/life balance, but the reality is there’s a million things you and your team need to accomplish to make your business a success. “Heads down” isn’t just a saying. It’s a reality. We’re not saying attending Startup Week will fix this. No. But what Startup Week can do for your community is this. It brings hundreds, if not thousands, of people just like you together to celebrate this crazy thing we call entrepreneurship. For one week you’re part of a tribe of change-makers and visionaries, the crazy ones who stop at nothing to bring their solutions and products to the world. Startup Week is first and foremost about community. It’s run by volunteers who are entrepreneurs themselves and want to give back. We’ve seen over and over the power of community. Cities who throw their first Startup Week are often shocked by how many people show up. There’s a real need of entrepreneurs in every city around the world to connect with those who are going through what they’re going through, to share stories of struggle and success, and most importantly, to feel that they’re not alone. Connection can do amazing things. Often times it’s this sense of belonging that helps entrepreneurs push through the toughest of roadblocks. It also helps cushion the fall when confronted with failure. Knowing there are people out there who will help you brush off the dust when you fall makes it so much easier to take the risk. If you’re city doesn’t have a Startup Week yet, and you’re ready to make it happen, send us a note. We’d love to chat with you and help you create the community your city, and your fellow entrepreneurs, need. Apply here to start the conversation and bring Startup Week to your city.